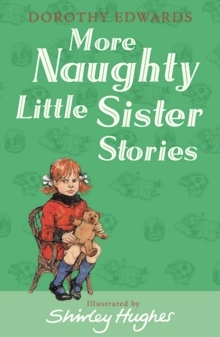 Dorothy Edwards' classic story about one naughty but very entertaining little sister. Sometimes my naughty little sister can be good . . . when she helps Grannie to make a Christmas Pudding and even teaches Bad Harry a lesson or two. 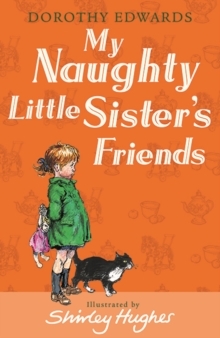 Has my little sister given up her naughty ways?When My Naughty Little Sister Was Good has charmed generations of adults and children alike thanks to Dorothy Edwards' playful stories and Shirley Hughes' beautiful illustrations. The best-selling books in this series are perfect for little girls with siblings of their own. 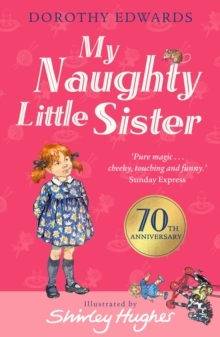 Praise for My Naughty Little Sister:`Edwards was one of the best children's writers of the 20th century and her collaboration with illustrator Shirley Hughes was pure magic: the stories are cheeky, touching and funny' - Sunday Express. `Naughtiness is naughtiness, whatever the generation, and these stories are a delight' - The ScotsmanDorothy Edwards dreamt up My Naughty Little Sister whilst on a family holiday in 1950. Dorothy based the character on her younger sister, Phyllis, and went on to write five books about her naughty little sister with wide acclaim.